Plumas County has had the dubious distinction of being one of the worst counties in the state for opioid use and abuse. It has also received accolades for doing something about it. And while those working against the epidemic didn’t just breath a sigh of relief when they turned the numbers around, the staff at the Plumas County Health Agency continue the journey toward eliminating the problem — not just locally, not just within the state, but assisting others everywhere. 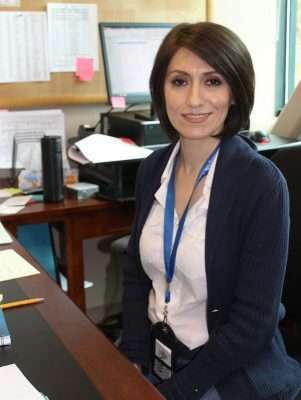 Toward this journey and with other existing programs in mind, the health agency hired Shadi Barfjani to head up the Chief of Programs Division. Barfjani comes to the program with experience in developing programs in the U.S., in Toronto, Canada, and in her home country of Iran. Barfjani’s volunteer experience includes the California Task Force against Hate Crimes, with the California Attorney General’s Office, Eastern District; a Respite Partnership Collaborative with the Sierra Health Foundation; and with the University of California, Davis Outreach and Support with the WIND youth project in Sacramento. Her work experience includes the Hart Fertility Clinic where she was an assistant physician; with Capital Counsel Center, a nonprofit where she was managing director; and the BRAVE Society (Bullies Really Are Violating Everyone) in Sacramento. Barfjani comes with unique experience. Although originally from Iran where she first received her medical degree, she’s a Canadian citizen where she is also a licensed physician. Barfjani has worked on the Educational Commission for Foreign Medical Graduates Certification in 2007. She also worked on her United States medical licensing examination Step 1 and Step 2 in 2006 and 2007. She received her master’s in biomedical sciences at the Eastern Virginia Medical School. Among her projects with the county health agency, Barfjani is working toward reducing the impact of vaping among teens and children in Plumas County. “The Public Health Program Division Chief position is not new,” said Director Andrew Woodruff. “But it took a long time to recruit for after the retirement of our previous Assistant Director Karla Burnworth and the resignation of our former director (Mimi Hall) in the summer of 2017. “Currently, Shadi is funded 50 percent by the Rural Communities Opioid Response Program Planning Grant, where she is working within the Northern Sierra Opioid Safety Coalition to increase capacity to treat individuals suffering from opioid use disorder,” Woodruff explained. The other half of her time is spent within the health education division of the local program. This has a wide range of programs related to policies, systems and environments within the community that affect health. “Her team is a dynamic, diverse and talented group,” Woodruff said.